Beautiful photos! 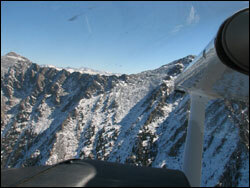 This is something on my aviation bucket list - I can't wait to get in some mountain flying experience and training. 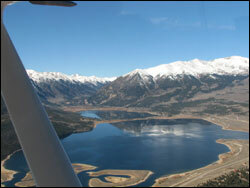 Flying over the Rockies is wonderful--on a nice day! I flew into Leadville, CO for the first time in August. We we're in a turbine powered Cessna 208 Caravan. Even with all of it's powered, I was amazed at how poorly it climbed at times. I can only imagine the pucker factor was a little higher in a C172! My guess is your Turbine Cessna 208 Caravan performed much better in the mountains than that Cessna 172. Flying in the Midwest I had never experienced such a labored and slow climb before. It was an amazing experience! Great Pics !!! Cant wait to fly there. Truly looks like heaven. Mountain flying is truly an experience in itself. But like Todd points out, getting instruction in dealing with high-density airports and the characteristics/uniqueness of mountain flying is incredibly important. Know the rules and live. Nice post Todd. It has been awhile since you have posted. Sure would like to see some more recent posts. Wow the views are breath-taking. You got a great post here! It's great that you have overcome the challenge that you long since wanted to undertake. I would agree with you that one needs to certify himself or get the needed instruction before heading into these kinds of flying. Some people can get too cocky sometimes.